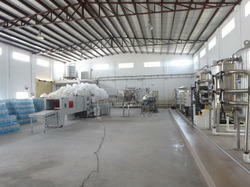 Manufacturer of PET Bottle Shrink Wrapping Machine. Our product range also comprises of Filling Machine, Laboratory Incubator and Water Plant. We are a most trusted name in between the topmost companies in this business, instrumental in presenting a high-quality range of Pet Bottle Shrink Wrapping Machine to our customers. Our offered product is acknowledged by customers for its optimum work performance, better result, long function life and many other features. Pet Bottle Shrink Wrapping Machine is demanded in various cosmetic, chemical, foodstuff and many other industries. Looking for PET Bottle Shrink Wrapping Machine ?